Happy 93rd Birthday Dr Catherine Hamlin! 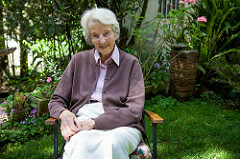 On January 24th, our beloved Dr Catherine Hamlin, founder of the Addis Ababa Fistula Hospital, turned 93 years old! She had a lovely celebration at her home in Ethiopia, surrounded by close friends and patients past and present. Dr Catherine still lives on the grounds of the hospital and is incredibly engaged in continuing the legacy of her work.